The majority of NFL and draft experts, with NFL insiders and everyone else who matters for ESPN and NFL Network agree that Jameis Winston is the best QB in the draft. Despite this, there are a few oddballs who say that Marcus Mariota is indeed, the top QB. One of those oddballs is NFL Network draft analyst, Mike Mayock. In an article for NFL.com, Mayock explained his reasoning behind flipping the two QBs on his draft board. 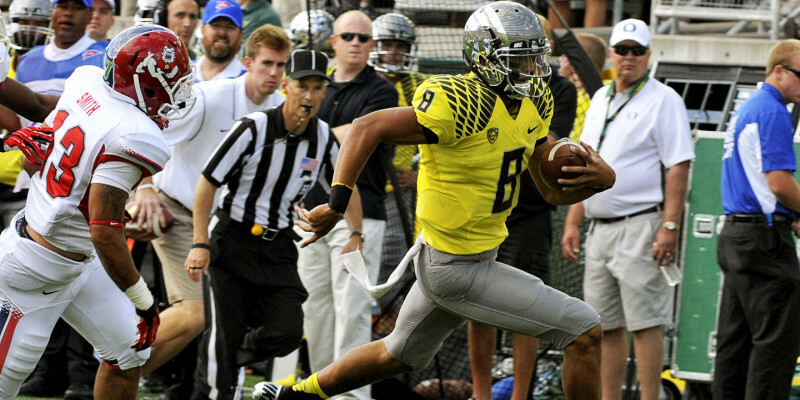 Mayock praises Mariota’s decision-making and knack for taking care of the football. So, while everyone else has Mariota dropping further and further in the draft, Mayock believes he is the best QB in the draft. Mayock also said that he trusts Mariota both on and off the field, more than he does Winston, highlighting that Winston “… continued to put his team at a disadvantage almost weekly …” by making poor decisions on the field. Off the field, it is well known that Winston has a history of making bad choices and being at the wrong place at the wrong time. 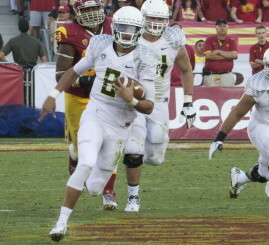 Let us not forget that Mariota is a much better athlete than Winston as well. 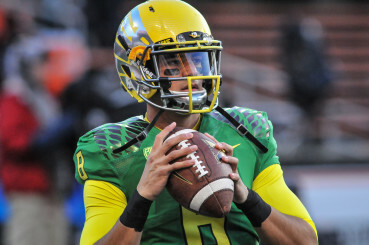 However, in the end, even Mayock doesn’t believe that Mariota will go No. 1 overall because Winston is a better fit for what the first draft selector, Tampa Bay Buccaneers, wants to do next season. Furthermore, Winston is also something of a folk hero in Florida, so passing on him is likely to be a mistake by the Buccaneers front office. This is very interesting, because everyone else is talking about how low Mariota could go, Mayock is envisioning a scenario where “… they(Tennessee) try to trade that pick …”, thus having a team gamble their future — a la the Washington Redskins – to draft Mariota.